Sunset Reports can work as a great database export tool to retrieve data from a variety of sources and then save them to a different file format that can be used by other software. Refer to the post on Data Sources to see all the possibilities for input. 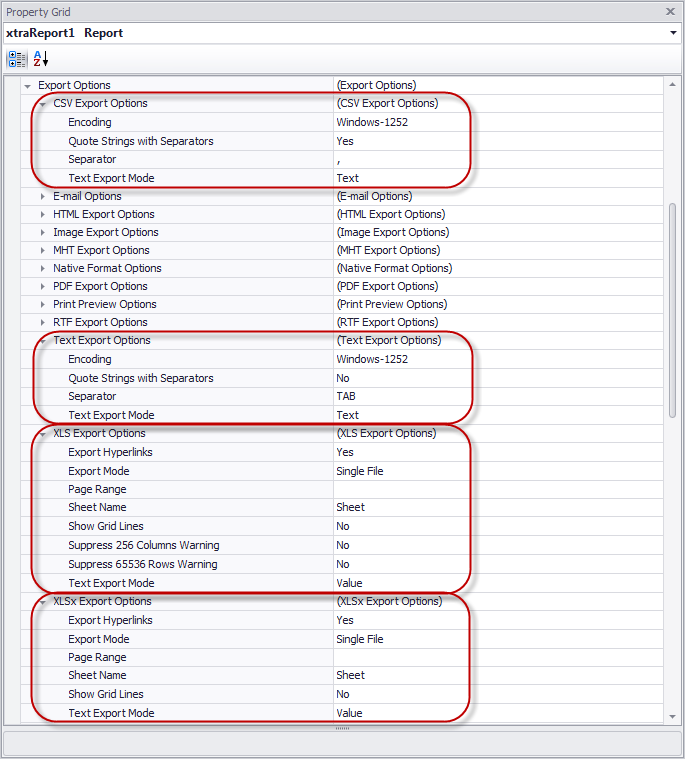 The report design for exporting should be a simple table object. Each column in the table will be a field that get’s exported. The typical export types that can be used to create files that can be read by other software include: XLS, XLSX, CSV, and Text. 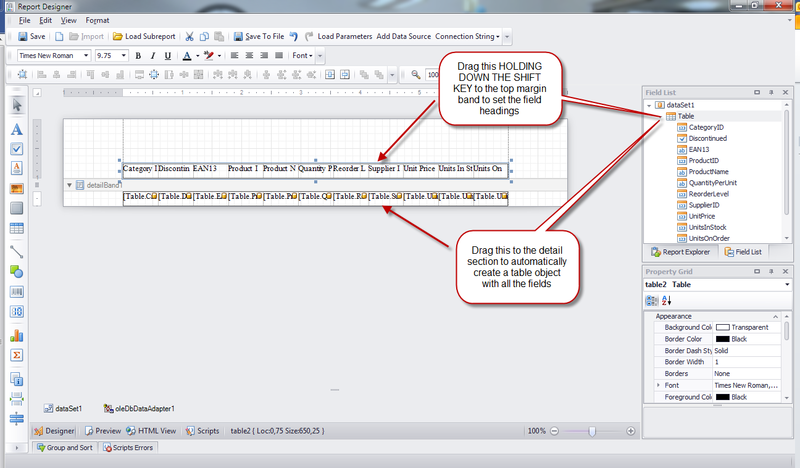 The first figure shows how you would create a simple report design for defining the fields to include in the export. You can decide which fields and in which order you want to them to appear. By using the reports sorting and filtering options, you can define the order and what data is to be exported as well. With the formatting property of each table cell, you can specify the format of each data element. The next figure shows the export options you can attach to the report design. For the CSV and Text exports you will find a property called “Encoding”. This property has a dropdown list containing different encoding schemes. In the list below, click on the link to learn more about each encoding scheme. For more information about encoding, check out this MSDN article.